Interview: Nightswapping — an alternative to Couchsurfing and Airbnb? The Share Economy is the latest big thing on the internet since Napster let you to steal share your favorite music back in 1999. Today, smartphone apps like Uber allow you to rent out your car and driving skills to practically anyone thus offering the chance to a lucrative side-income. But transportation is not the only field that might lead to unexpected riches. Websites like Airbnb and Couchsurfing.org assist you in renting out your room or your apartment for hard cash so you can — no wait, hold on a second here. If there is one thing that hospitality sites like Couchsurfing to do not allow you to do then it is renting out your apartment or room in exhange for money. As with all hospitality sites Couchsurfing relies on reciprocity, meaning while there is no obligation to let travelers stay with you the system would collapse if there were only takers and no givers. The core idea, in any case, is sharing and not selling. One heavy downside of Couchsurfing is the availabilty of free rooms/beds/couches. While this might sound even absurd since this is what the network is about, it can be surprisingly hard to actually land a night on someone else’s couch even if you are trying hard. In Kiev I met a young college graduate who was looking to make his first couchsurfing-backed trip to Budapest. Even though a nice and well-mannered young man sending out requests to possible hosts in a city that some call The Wonderful had him face rejection after rejection. To make it short, it took him no less than 36 request in order to find someone who would give him a definite yes on hosting him for a night or two. That is correct, getting a spare couch on a site that calls itself Couchsurfing will most likely have you send out requests ad nauseam before you finally seal a deal. If hotels and apartments are not for you then the one option for a guaranteed place to stay a would be swapping homes. Websites like HomeExchange.com offer an exchange service with hundreds of thousand of people worldwide looking to swap their homes with someone living abroad. The one prerequisite for homeswapping: you and your swapping partner need to be traveling at the exact same dates in order to make the swap happen. Needlees to say that your chances of finding a swapping partner will skyrocket if you live in New York City while they will reach an all-time low if you lived in lovable, yet not-so-sought-after cities like Bordeaux or even Cluj-Napoca. In short, Couchsurfing and Home Swapping may take a good deal of planning, luck and perhaps even a home that is located in a favorable part of the world. These massive drawbacks is what made Lyon-based entrepreneur Serge Duriavig call into life his latest project named Nightswapping. Established only in 2013 Nightswapping is the world’s first hospitality website that seeks to combine the best of both worlds: being a hospitality network like Couchsurfing that allows to stay in a private home instead of an anonymous hotel while at the same time eliminating vagueness, unreliability or – as the more experienced users of Couchsurfing will know – the option of spending the night on a rusty bunk bed with a bathing towel as your blanket: All listings on Nightswapping feature proper beds, not couches. We are lucky to have Kate Pringle of Nightswapping answer virtually every single one of our questions about Europe’s up-and-coming hospitality network. Kate will be talking the European start-up scene, how NightSwapping outsmarts Couchsurfing and Airbnb and she will also tell us why Nightswapping will never face the kind of trouble Airbnb is facing in regard to the legality of short-term leases. Let’s see what Nightswapping has to offer to the single male traveler. Euromentravel.com: If you had to put it into one word: What is NightSwapping? – Can you give a us short break down on how the system works? 1. Hosting travelers: for every night you host, you gain a night. If you cannot host or don’t have enough nights for a trip, you can buy nights from 7-49£/€. 2. Traveling: use your nights to stay at the place of any other member on the platform. 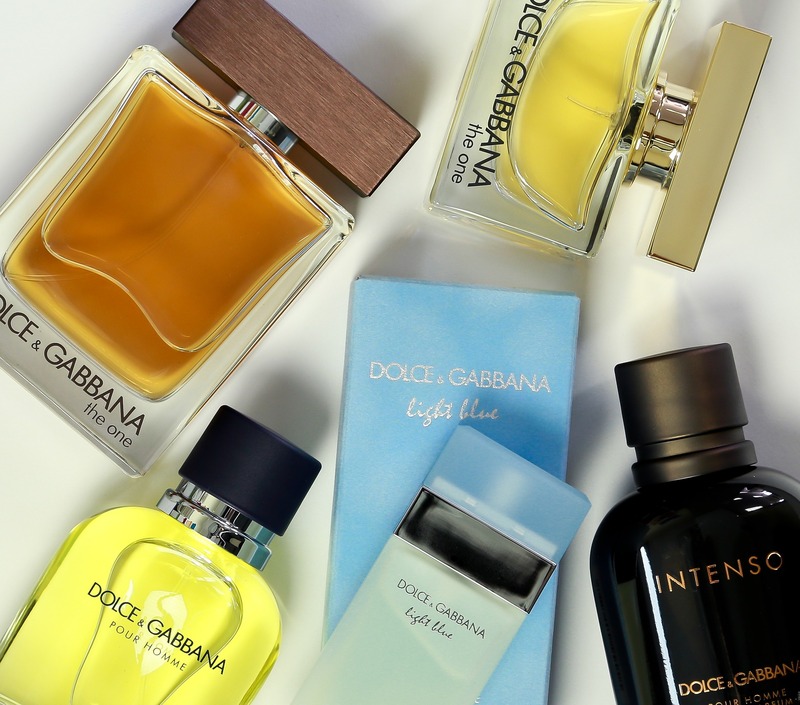 Spend them how you like – all at once, spend some and keep some, it’s up to you. All offers on Nightswapping also come with a nightly rate. Who sets the prices here? What are the criterias for a high price/low price? 28€ for a 70m² apartment in the heart of Torino. If you buy nights, whether it be because you don’t have enough for a particular trip or because you don’t have time to host, they cost between 7 and 49 euros. All listings are rated from 1-7 (so a rating 1 place costs 7 a night and a rating 7 place costs 49 a night). Guest rooms are rated 1-3 and entire homes 4-7. This is according to location, amenities nearby and the size of the appartment. room in smaller city or in a less desireable location like on the outskirts, whereas a rating of 7 might be a house with a swimming pool in central London. These days most innovative online start-ups come from the area around San Francisco. Nightswapping comes from the heart of the Old Continent, namely from France. Do you see a new trend of start-ups coming from Europe instead of the US? Share Economy community as we now have 150.000 members and in 160 countries that range from Argentina to Ireland and Croatia. Regarding European start-ups: there are a growing number of collaborative tourism and sharing economy startups coming from Europe like meal-sharing website Vizeat, renting a local guide on Trip 4 Real and obviously Blablacar which is extremely successful across the continent. 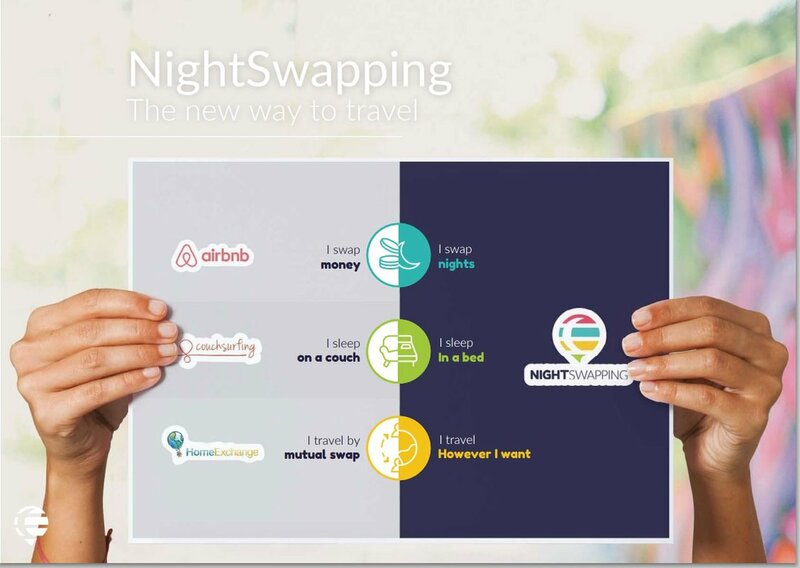 I don’t have exact figures on startups coming out of the US and out of Europe, but on the whole I’d of course say that NightSwapping seems to be one of the latest, most exciting collaborative tourism start-ups to come out of Europe. I recently saw a video which, in all dearness, looked like the single male traveler’s nightmare: A couple wearing horn-rimmed glasses gets hosted at a 60 year old man’s place. Where is the Manhattan-based bachelor that lets me stay in his cool guest room and then gets me into Studio 54? NightSwapping attracts a wide variety of people from individuals to couples and families.Our users come in all ages, however, our main user base is aged between 25-35. Just like our members, the site attracts a wide variety of homes and apartments from small cottages in rural England to poolside pads in Las Vegas and New York City – that’s the beauty of NightSwapping. The video you refer to is a great example showing anyone can put up their home and benefit from the site – people have different expectations when they go away for the weekend, and you can see what the place looks like by looking at the photos on the listing, so NightSwapping basically is for everyone. Here is another video with a more laid-back host. By the way, the photos! Airbnb offers a photography service to ensure authentic pictures. As far as I could see there are no reviews for apartments on your site. How do I get an objective opinion on an apartment? We offer this service, too, but in a slightly different way – coordinated by us; members of NightSwapping themselves can go round to people’s places to help them take nicer photos for their listing online. Not everyone is so skilled in photography or knows how to operate an iPhone! In return, we thank the photographer by giving them a free night. Another more friendly side to NightSwapping is getting to meet fellow hosts and helping each other out. Also you can look at the rating of the place (1-7) and chat with the person to see what their nightswapping experience is before staying or even agreeing to stay. The city has been cracking down hard on popular renting site Airbnb.com for two reasons: (1) Airbnb is used by rental companies which use the site to avoid paying hotel occupancy taxes, (2) sublets shorter than 30 days are illegal in New York. How do you make sure some government doesn’t come after you as well? It takes away the customer-client relationship one might claim Airbnb has developed, and is replaced by a more authentic, convivial relationship of the host and the guest. I see. But what about the option to buy nights? That way hosts would still rent out for the short-term which might break rules – only that they would deal with NightSwapping instead of the guest. Or am I missing something here? Buying nights means buying them from NightSwapping so the money for the nights bought doesn’t go to the host – this is why we say there is never any exchange of money between members and why we don’t face the same problems with landlords thinking their tenant is subletting, for example. Ahh I get it. So basically trying to play NightSwapping for making money won’t work.Not unclever, if you ask me. One thing I noticed is that your website’s interface looks quite professional and to the point – doesn’t that make things a little more ‘cold’ than neccessary? I see where you’re coming from but don’t think it’s the case – it’s quite the opposite, actually. The concept is about a relaxing and a convivial stay with other likeminded individuals. The NightSwapping site is very colourful and friendly with a space to talk about who you are, your interests etc. on your profile and on your listing, too. You can get to know people even better through the NightSwapping messenger before staying or hosting. Similar to Couchsurfing, with NightSwapping you’re not obliged to host – you can buy nights off the site instead of hosting. For example, if you don’t have enough time to host but really want to do a nightswap you can just buy the nights from NightSwapping and travel anyway. Wait a minute, did you say messenger? Nightswapping has its own smartphone app that lets you chat with guests and hosts? I know for sure that Airbnb won’t allow that. When I say messenger I mean that there is a chat with the host-button available once you’ve entered some potential dates. You can then get to know the person a bit more and you’ll then be in a better position to decide whether it’s somewhere you want to stay and someone you want to be hosted by. We have an exciting app launching in the new year to facilitate and guide you through travel ideas and trips, so watch this space! Users may overlook that there is a fee of 9,90€ for every booking. How can charging money be justified when there are many free hospitality websites out there? Well the difference between NightSwapping and other free services out there such as Couchsurfing, is that NightSwapping ensures more comfort as you are guaranteed either a whole home to stay in or guest room. You can also travel as a family or with a few friends via NightSwapping which you can’t do due to the improvised nature of Couchsurfing. We also are able to cover travelers and hosts alike with insurance thanks to our insurance partnership with Allianz. No extra effort is required to beneft from this cover as it’s done automatically for you at no extra cost. This makes NightSwapping the only platform to secure the entire homestay accommodation process. All these extras which make the stay nicer, more comfortable and more safe are what enables us to justify the reservation fee. It’s useful to know as well that the fee will be 9.90€ for one night with one person or for a stay of 10 nights with 4 people so it’s still not extortionate. How is NightSwapping doing overall? What country is your biggest market? Do you have any goals set for the mid-future? We’ve enjoyed fast growth over the past year thanks to our first round of funding of 2M in summer 2013. From January 2014 until this summer our members multiplied by 10 and so we now have up to 150,000 members with NightSwaps happening worldwide in 160 countries. We currently have 3 offices in Lyon, Paris and Barcelona. France, Italy and Spain are our biggest NightSwapping communities and we are now rapidly growing in countries such as the Netherlands and the US. As for goals: we have a seconnd round of funding due in the first quarter of 2016 which is exciting and will allow us to develop even further into more countries. Euromentravel.com: Thanks for this informative interview!